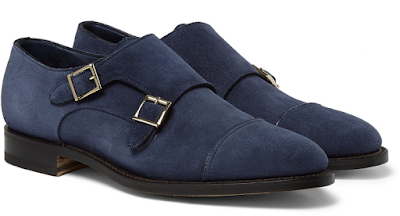 Elvis would be proud of these blue suede monk-strap shoes from Santoni. I suggest teaming them with tailoring for maximum effect. Mr Porter, £475. I do not own many of the pictures featured on this blog. If you own the copyright of any images used and would like them removed, please feel free to contact me.